I've been following Slimming World since January 2017. 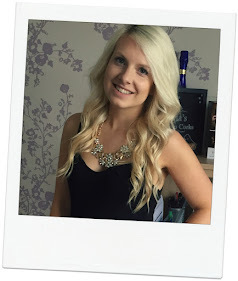 I wanted to lose weight and feel better in myself for my wedding. At the time I didn't know if I'd be able to stick to it for a month let alone still be following the plan over 2 years later, and nearly 9 months after we got married. It's very much part of my daily lifestyle now, though maybe not as strict at times. I've been maintaining the same weight since September after losing the honeymoon weight (give or take a few pounds especially at Christmas time!). 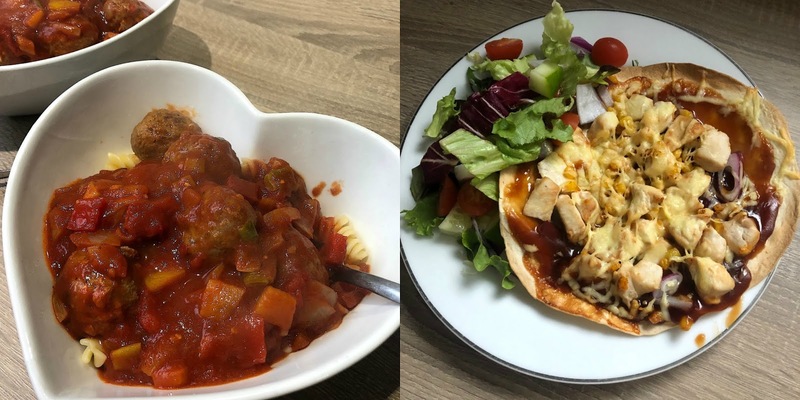 I've put together a Week of Slimming World Meals which are perfect for inspiration if you're starting out on Slimming World and feel a bit lost, or stuck in a bit of a rut and need some different ideas. This is the sort of thing I'll look back on myself when I'm writing a meal plan and can't think past the standard 3 meals we always have. 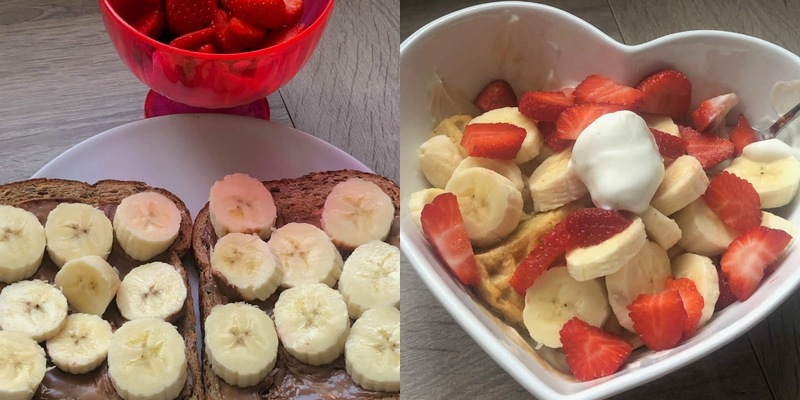 I'm all about a sweet breakfast and I often start my day off using my Healthy Extra B, a bit of yogurt, banana and strawberry. 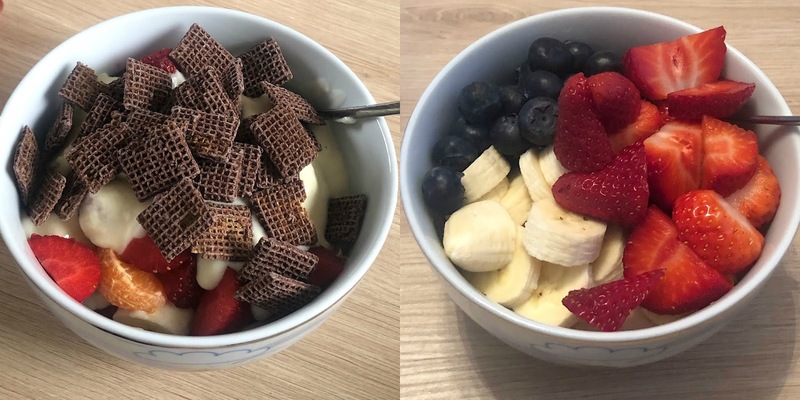 One of my recent Slimming World finds is Nestle Coco Shreddies, although lots of places say it is no longer a HEXb allowance I've been having 28g of it along with fruit and yogurt for a quick and convenient work day breakfast. Another option, hidden under a huge bowl of fruit is Weetabix Crispy Minis Chocolate Chip. I did say I love a sweet breakfast. Another handy breakfast during the week is overnight oats. 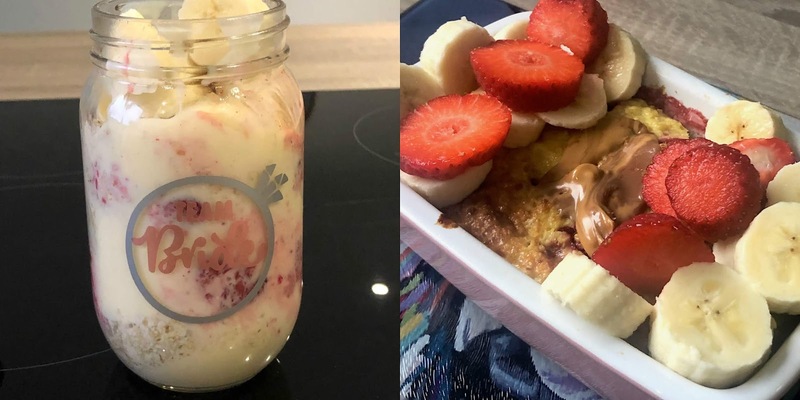 I always use frozen strawberries for this one and then top it with banana in the morning. If you've not tried overnight oats before I'd highly recommend them. The next breakfast is something I have at the weekend. Baked oats feel like a treat because it's just like having cake for breakfast. This can be totally syn free but I've got a love for Cadbury Caramel Spread at the moment and opted to have a tablespoon of spread inside and on top for 4.5 syns. I think my next breakfast shows that Slimming World isn't about depriving you of everything you love. I still love to have chocolate spread on toast for breakfast every once in a while and in this case it was Caramel Spread and Banana on Toast. Healthy Extra B in action and a side bowl of speedy fruit. It's worth the 7 syns! My last breakfast is a little hard to see but amazing to think you can have Waffles that are syn free. I always have quark and Walden Farms Caramel sauce with these ones. I meal prep lunches for the work week on a Sunday. In Autumn and Winter I always have soup and then in the Spring and Summer months I have salads. This is a great way of getting plenty of speed food. My salads often feature lots of lettuce, tomato, cucumber, sweetcorn and red onion. Then I either have chicken or ham on top. I avoid having salad dressing because I can often get a little carried away! Something I've tried adding recently especially if I've got plain chicken is adding some Garlic and Chilli Salt seasoning. A syn free kick. If I'm not having salads I tend to rely on leftovers. 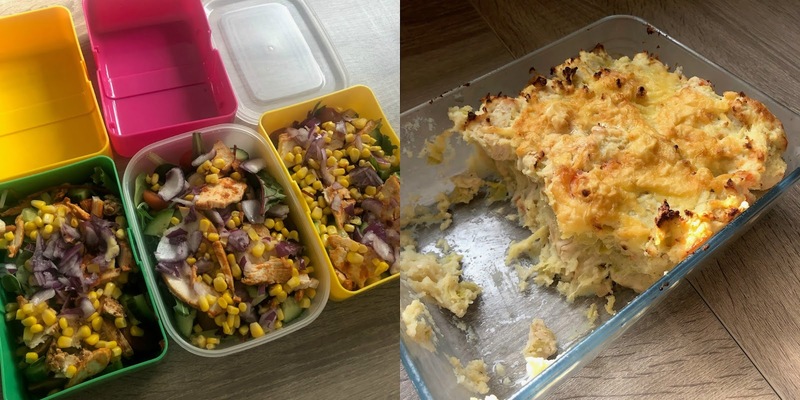 My favourite Slimming World dinner that works well for leftovers is Chicken Homity Pie. My husband doesn't like it so it's more for me! Another meal that I've had recently and I think actually tasted better the next day was Cheeseburger Pasta. This was a hit with my husband, Mum and Dad. A convenient one pan dinner. 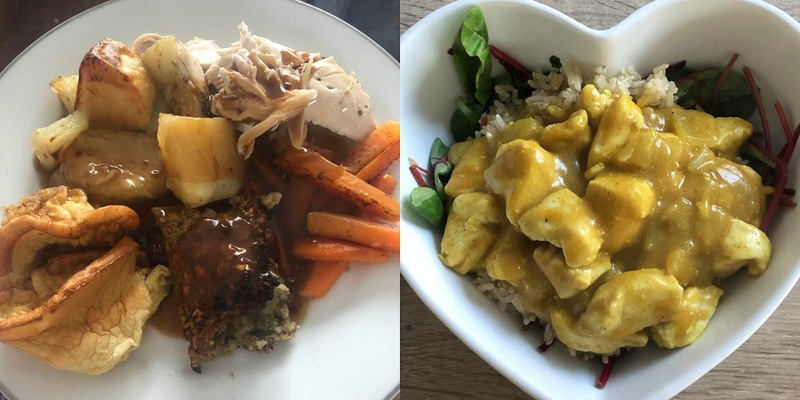 The dinners that I've had are a real mixture of Fakeaways, quick and convenient and then proper comforting, home cooked meals. It all depends on how much time I've got, if I want to have some left overs or if I'm dining alone (if my husband is working away). I find if I make Fakeaways then I can stop myself being tempted to have a proper high syn takeaway. I've got breaded haddock with chips and salad, a Weight Watchers Wrap pizza and salad and a Chicken Curry with Mayflower Curry Sauce. 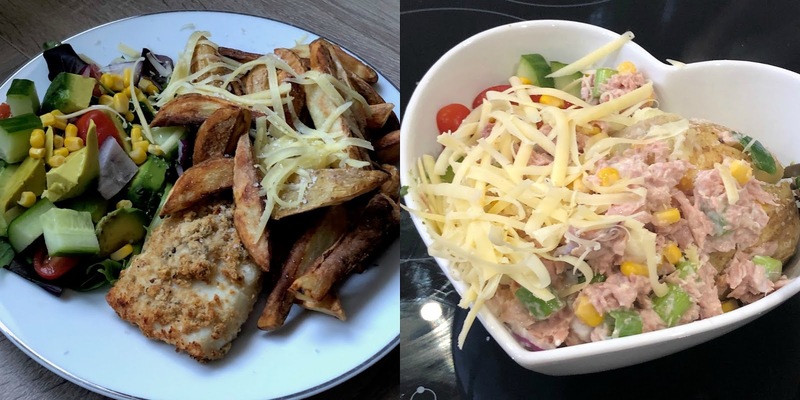 A baked potato with tuna, cheese and salad is one of those dinners I can whip up in 10 minutes - quick and easy with loads of speed food. Meatballs with pasta doesn't take too long considering it's made from scratch and the tomato sauce is packed with speed from onions, peppers, carrots and chopped tomatoes. My Slimming World Roast Dinner features Oxo roast potatoes, low syn Yorkshire puddings, syn free gravy and stuffing. 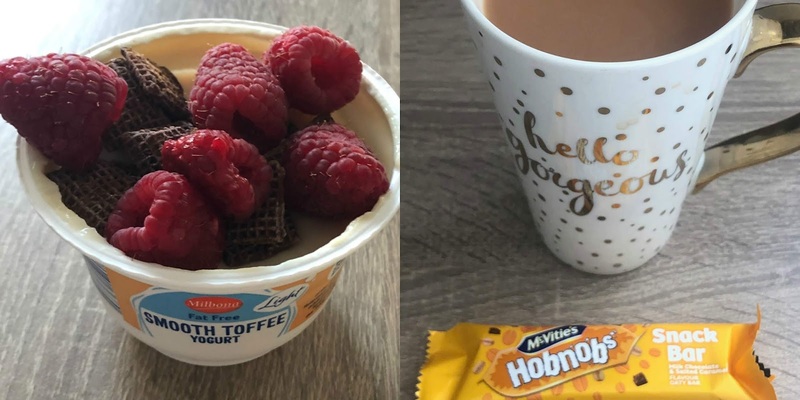 I think the reason Slimming World works for so many people is the fact that you can still have chocolate, crisps or snacks but they've just got to fit within your syns. 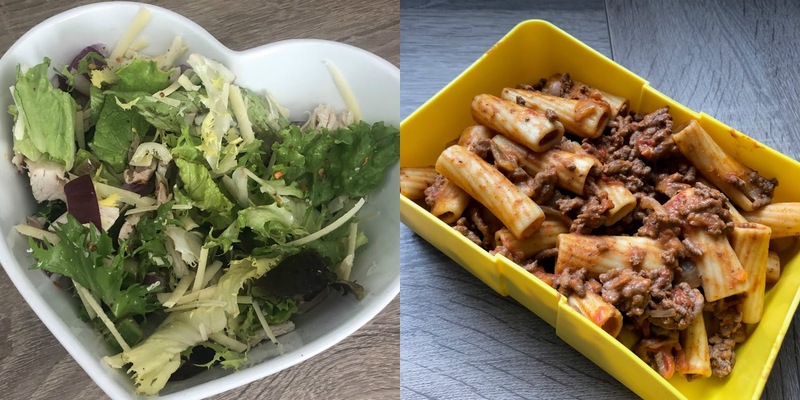 I thought it was a good idea to share some of my low syn favourites and it works well as a little reminder of what's definitely 'on plan'. When I'm shining up my halo my go to snacks feature fruit. 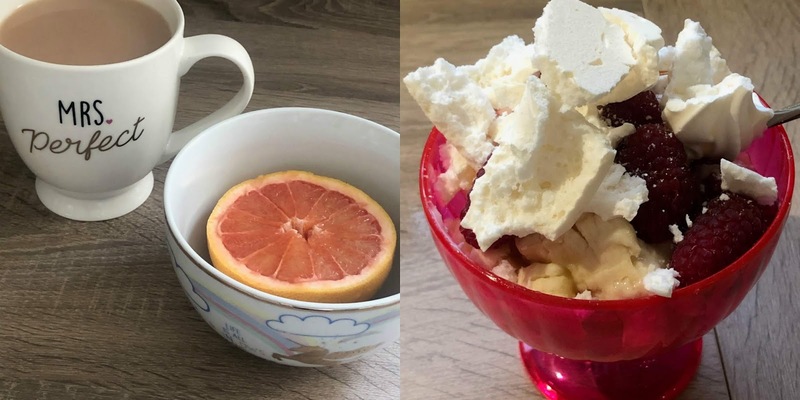 I love grapefruit and it's definitely a refreshing snack to have. If I need to satisfy my sweet tooth I add yogurt and a 2.5syn meringue for a proper pudding style snack. If I need something that's got more of a crunch to feel like I'm having a biscuit then Coco Shreddies work well. Sometimes you've just got to use your syns on the proper stuff. 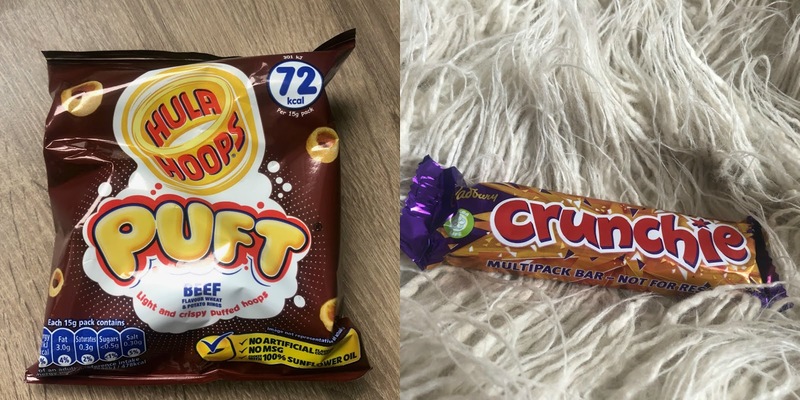 My favourites are Hobnobs Snack Bar (6.5 syns), Hula Hoops Pufts (3.5 syns) and Crunchies (7.5g for 32g bar).